Strip away the branding, personalities and public image of a brewery and could you pick their pale ale or stout from a lineup? Forester’s Hall is offering punters the chance to find out via a blind tasting of 34 different craft beers later this month. Not content with simply putting everyone’s tastebuds to the test, they have upped the ante and turned it into a Trans-Tasman taste competition too: 17 breweries apiece from Australia and New Zealand will put their beer on the line to be judged by the willing public. Tasters will award each beer a score out of five and the top five brews – as well as the victorious country – will be announced on the day. It sounds like one of the most fun ways to spend a few hours, but there’s a kernel of seriousness in there too. If you’ve never tasted beers “blind” before – not knowing what’s in the glass in front of you – it is, excuse the pun, rather eye-opening. 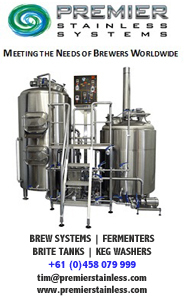 Not only will you be judging the beer without any preconceptions as to whether you like it or not but your senses will be encouraged to work overtime; with no expectations as to what aromas or flavours await, it’s up to your eyes, palate and olfactory system to decide what you’re drinking – and whether you like it. Forester’s Hall assistant manager Pat Timms says the event will be a great opportunity for people to experience what it is like to be an official beer judge. For, while this will be a more casual affair – no strict judging to style guidelines, no need to break down your scoring into appearance, aroma and flavour – it is still operating on the same basic principle as everything from the World Beer Cup in America to the Australian International Beer Awards: tasting beer without knowing what it is and passing judgement. The anonymity can help people to try styles or flavours they have never experimented with before, he says. Blind tasting is something we’ve being doing and promoting at The Crafty Pint for a number of years. We’ve held regular tasting panels at which we’re joined by brewers (amateur and commercial), beer reps, writers and awards stewards to judge beers by style. Unlike beer awards for which brewers send in their beers, we try, where possible, to buy from retail so we’re assessing what a member of the public is likely to get their hands on. When we publish the results, they're among the most read articles on the site. And, on the occasions we’ve hosted public blind tastings in Melbourne, Hobart, Sydney and Adelaide, they've all been sellouts too. When holding them – privately or publicly – we like to see what comes out on top, of course, with the highlight always the reveal; there’s almost always a beer or two placed at the opposite end of the ladder from what you'd expect and usually a surprise that makes you rethink your views on a particular beer or brewery. 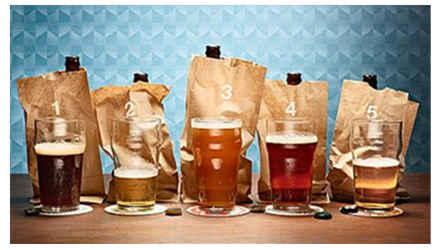 One of the competing Australian brewers at the Forester’s event, Brett Matthews from Boatrocker, says blind tastings take away any preconceived ideas or loyalty for a brewery, leaving the beer to speak for itself. “It’s really the only true way to see how you stand amongst your peers,” he says. For while beer judges are used to examining a beer on its merits, branding and public perception are often the first way a consumer comes to hear about a beer. “Whether it’s a blind tasting of wine, beer or spirits, I think there’s always an eye opener,” he adds. "There’s always one that takes you a little bit by surprise, and that’s the best part of it all really. Tickets for the Great Craft Beer Taste off cost $30 in advance or $35 on the day and include tasters of all 34 beers. More than $1500 in prizes supplied by the competing brewers will be awarded to tasters throughout the event, ranging from merchandise to a brew day with Melbourne brewery KAIJU!. You'll find more details in our Events Diary or can jump straight to buying your tickets here. Kerry McBride is a reformed journalist who has taken the well-trodden path from Wellington to Melbourne. Her love for bad puns is matched only by her love of hoppy beers and Hallertau Funkonnay. 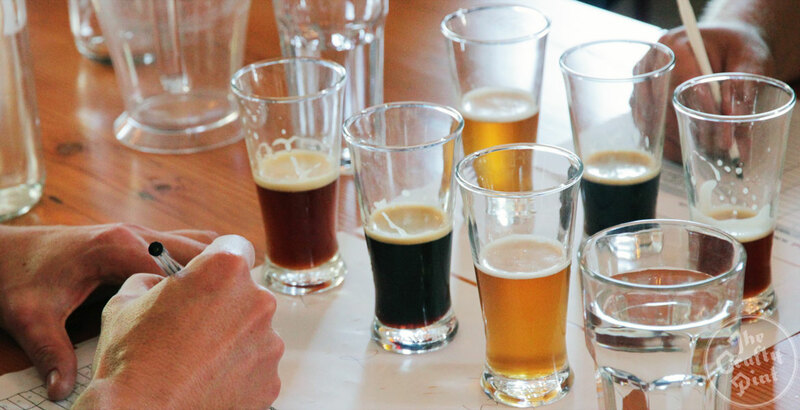 The Crafty Pint's next Blind Tasting Panel is convening on August 15. We'll be looking at stouts. Look out for the results on the site early next week.